Deep Blue Professional Coral Concepts Barnacles. 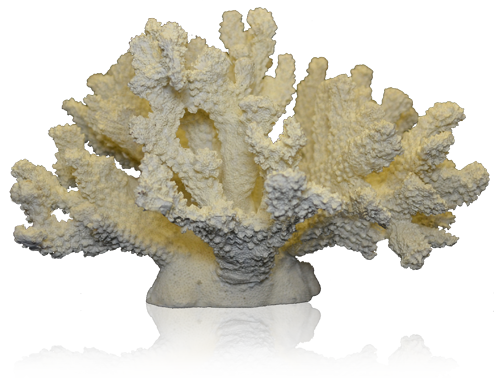 Deep Blue's Coral Concepts Replicorals bring the wonder and beauty of natural corals to your aquarium without harming any of the world's precious natural coral reefs. 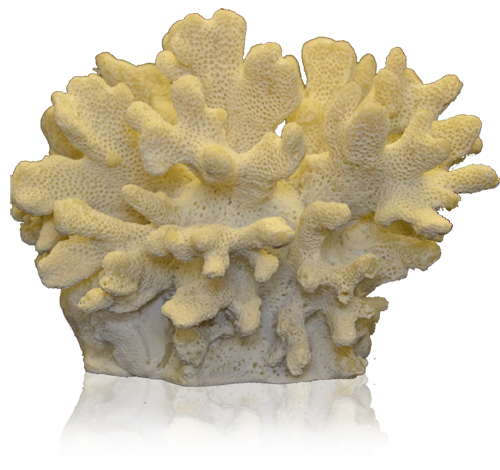 Cast in non-toxic polymer material, they are safe for all aquatic environments and are a responsible alternative to natural coral. 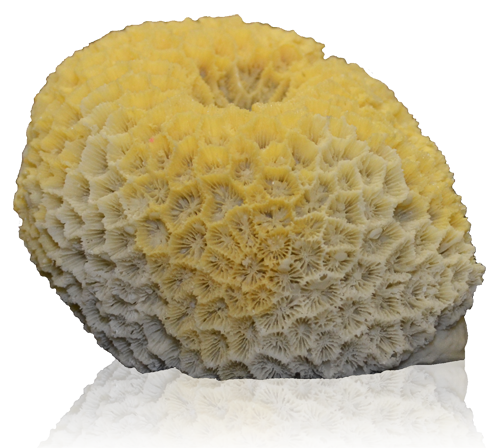 Size: 5 x 4.5 x 4"
Deep Blue Professional Coral Concepts Barnacles Deep Blue's Coral Concepts Replicorals bring the wonder and beauty of natural corals to your aquarium without harming any of the world's precious natural coral reefs. 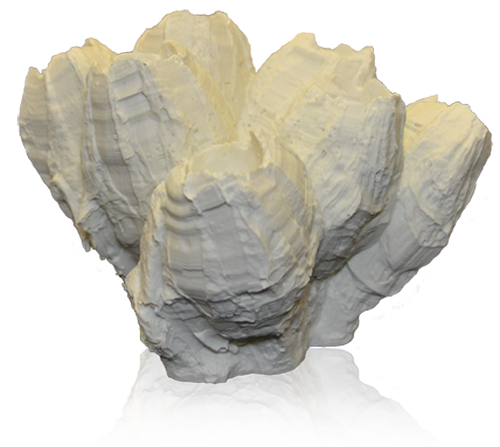 Cast in non-toxic polymer material, they are safe for all aquatic environments and are a responsible alternative to natural coral. 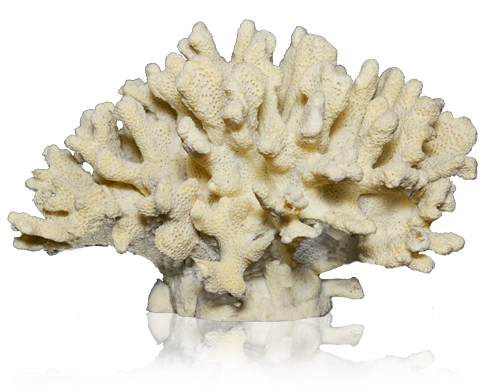 Deep Blue Professional Coral Concepts Black Octopus Coral Deep Blue's Coral Concepts Replicorals bring the wonder and beauty of natural corals to your aquarium without harming any of the world's precious natural coral reefs. 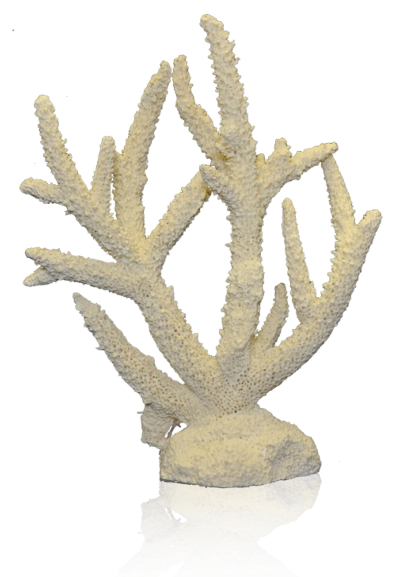 Cast in non-toxic polymer material, they are safe for all aquatic environments and are a responsible alternative to natural coral. Size: 8.5 x 4.5 x 11"
Size: 12 x 4 x 10"
Size: 12.5 x 4 x 11"
Size: 20 x 6 x 18"
Deep Blue Professional Coral Concepts Blue Ridge Coral Deep Blue's Coral Concepts Replicorals bring the wonder and beauty of natural corals to your aquarium without harming any of the world's precious natural coral reefs. 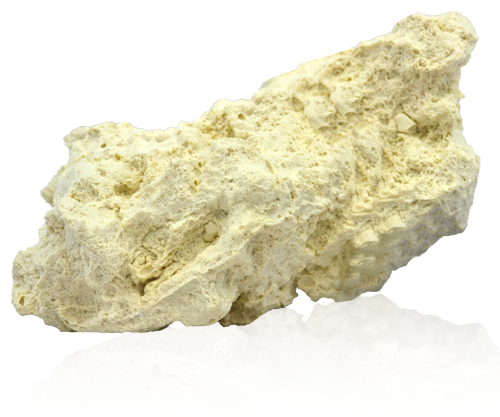 Cast in non-toxic polymer material, they are safe for all aquatic environments and are a responsible alternative to natural coral.  Size: 5 x 3 x 5.5"
Size: 7.5 x 6 x 5"
Size: 9.5 x 6 x 9.5"
Deep Blue Professional Coral Concepts Brain Coral Deep Blue's Coral Concepts Replicorals bring the wonder and beauty of natural corals to your aquarium without harming any of the world's precious natural coral reefs. 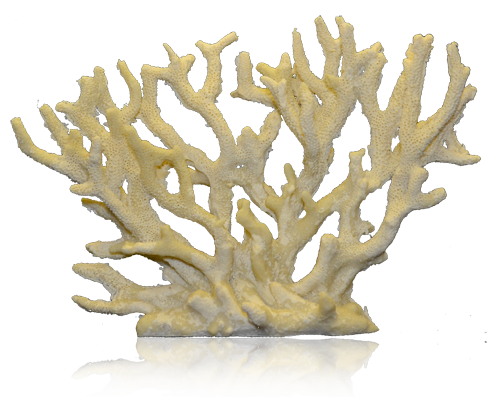 Cast in non-toxic polymer material, they are safe for all aquatic environments and are a responsible alternative to natural coral. 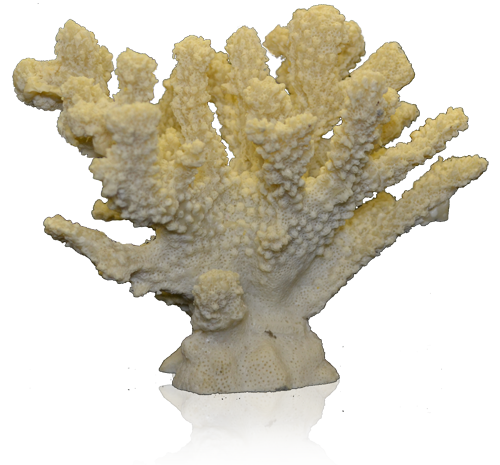 Size: 3.5 x 4 x 3"
Deep Blue Professional Coral Concepts Branch Coral Deep Blue's Coral Concepts Replicorals bring the wonder and beauty of natural corals to your aquarium without harming any of the world's precious natural coral reefs. 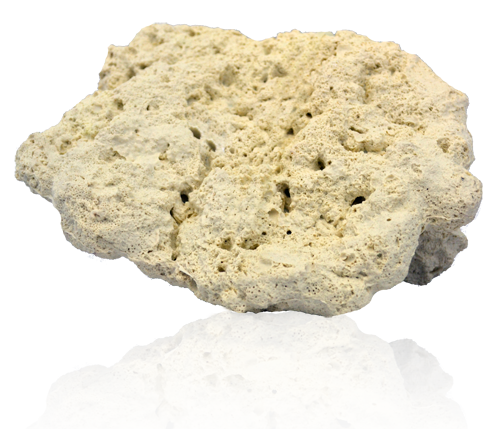 Cast in non-toxic polymer material, they are safe for all aquatic environments and are a responsible alternative to natural coral. Size: 6 x 4.5 x 5"
Size: 5.5 x 3 x 6.5"
Size: 7.5 x 6.5 x 5 "
Size: 9 x 3.5 x 5"
Size: 9 x 9 x 8"
Deep Blue Professional Coral Concepts Cat's Paw Coral Deep Blue's Coral Concepts Replicorals bring the wonder and beauty of natural corals to your aquarium without harming any of the world's precious natural coral reefs. 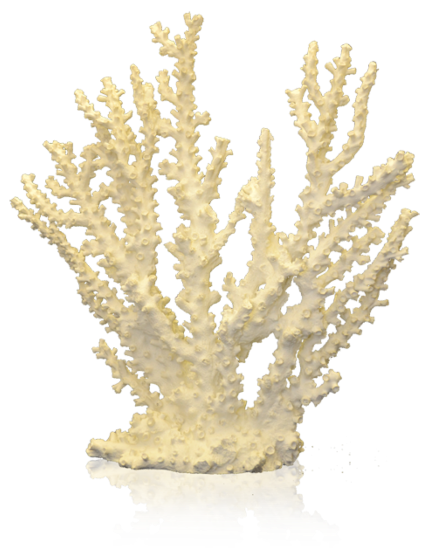 Cast in non-toxic polymer material, they are safe for all aquatic environments and are a responsible alternative to natural coral. 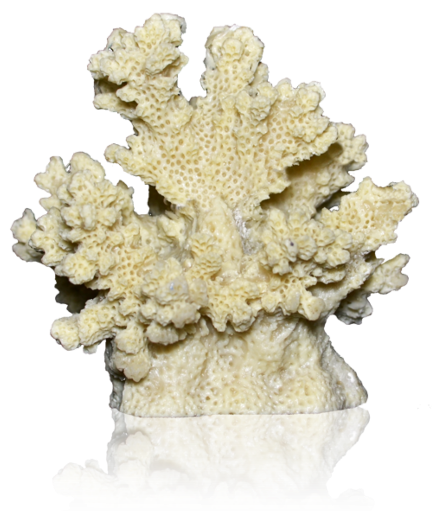 Size: 10 x 9 x 5.5"
Size: 12 x 9 x 8"
Deep Blue Professional Coral Concepts Cauliflower Coral Deep Blue's Coral Concepts Replicorals bring the wonder and beauty of natural corals to your aquarium without harming any of the world's precious natural coral reefs. 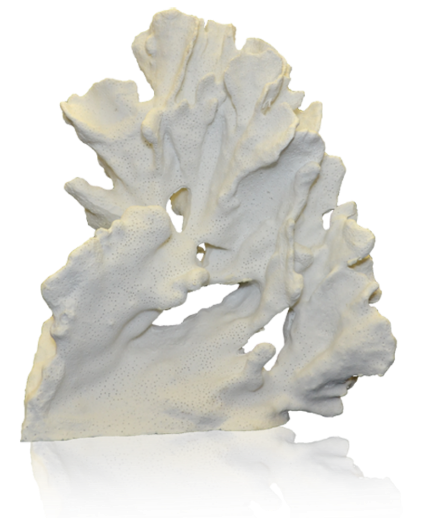 Cast in non-toxic polymer material, they are safe for all aquatic environments and are a responsible alternative to natural coral. 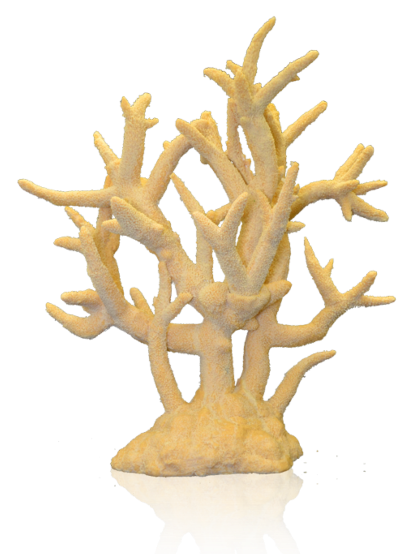 Size: 10 x 10 x 7"
Deep Blue Professional Coral Concepts Fire Coral Deep Blue's Coral Concepts Replicorals bring the wonder and beauty of natural corals to your aquarium without harming any of the world's precious natural coral reefs. 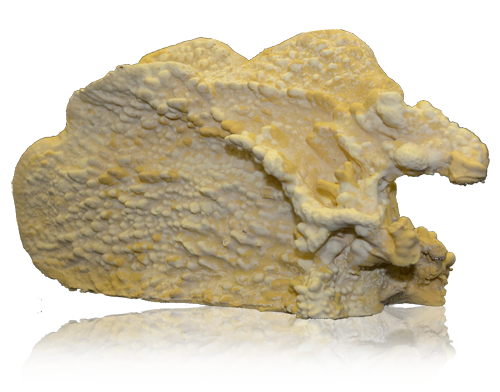 Cast in non-toxic polymer material, they are safe for all aquatic environments and are a responsible alternative to natural coral. 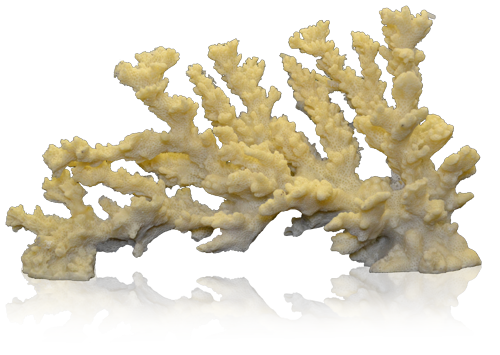 Size: 6.5 x 3.5 x 8"
Size: 12 x 4 x 6"
Deep Blue Professional Coral Concepts Gorgonian Coral Deep Blue's Coral Concepts Replicorals bring the wonder and beauty of natural corals to your aquarium without harming any of the world's precious natural coral reefs. 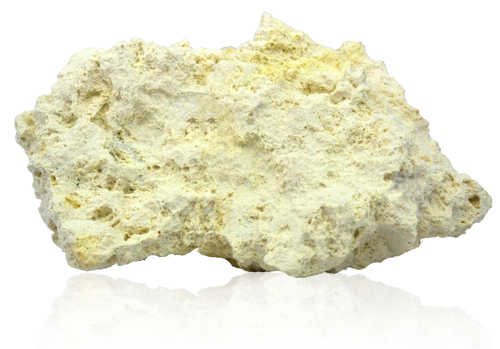 Cast in non-toxic polymer material, they are safe for all aquatic environments and are a responsible alternative to natural coral. 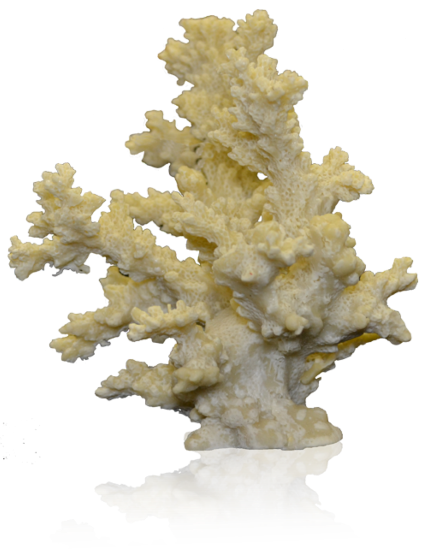 Deep Blue Professional Coral Concepts Staghorn Coral Deep Blue's Coral Concepts Replicorals bring the wonder and beauty of natural corals to your aquarium without harming any of the world's precious natural coral reefs. 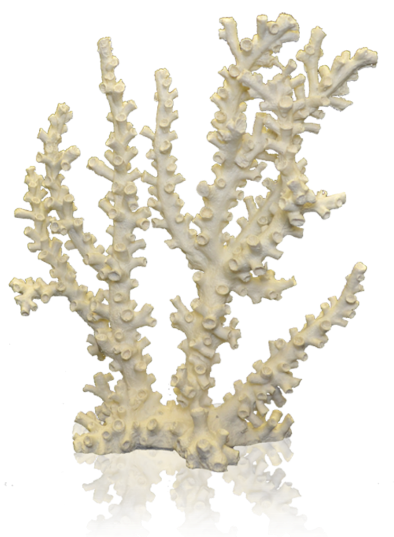 Cast in non-toxic polymer material, they are safe for all aquatic environments and are a responsible alternative to natural coral. Size: 7 x 3.5 x 8"
Size: 7.5 x 3.5 x 9.5"
Size: 13.5 x 4.5 x 9.5"
Size: 17 x 9 x 17"
Deep Blue Professional Coral Concepts Table Coral Deep Blue's Coral Concepts Replicorals bring the wonder and beauty of natural corals to your aquarium without harming any of the world's precious natural coral reefs. 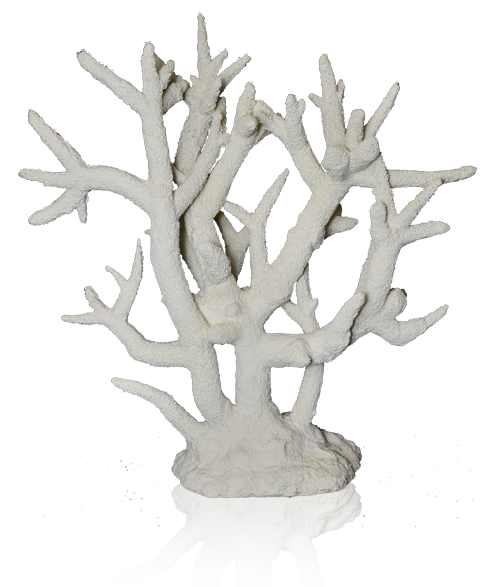 Cast in non-toxic polymer material, they are safe for all aquatic environments and are a responsible alternative to natural coral. Size: 7.5 x 4 x 9"
Size: 13.5 x 5 x 10"
Size: 18 x 7 x 19.5"
Deep Blue Professional Coral Concepts Lettuce Coral Deep Blue's Coral Concepts Replicorals bring the wonder and beauty of natural corals to your aquarium without harming any of the world's precious natural coral reefs. 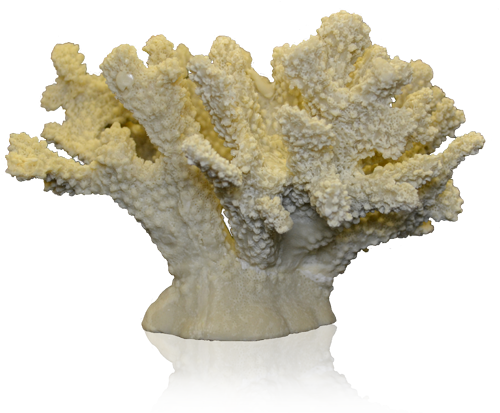 Cast in non-toxic polymer material, they are safe for all aquatic environments and are a responsible alternative to natural coral. 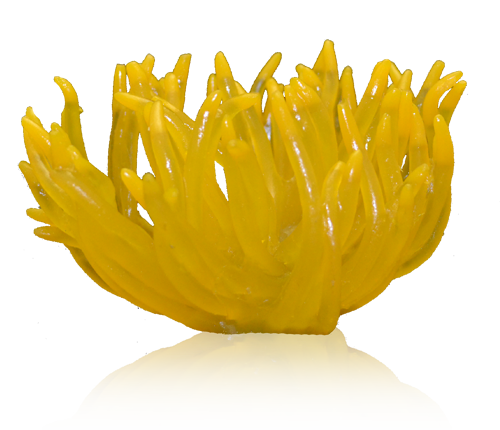 Size: 10.5 x 4 x 6"
Deep Blue Professional Coral Concepts Yellow Atlantic Anemone Deep Blue's Coral Concepts Replicorals bring the wonder and beauty of natural corals to your aquarium without harming any of the world's precious natural coral reefs. 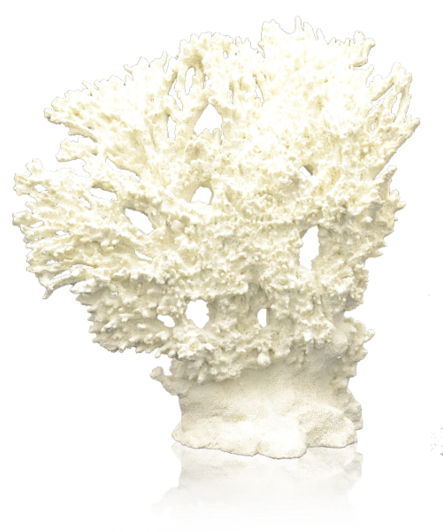 Cast in non-toxic polymer material, they are safe for all aquatic environments and are a responsible alternative to natural coral. 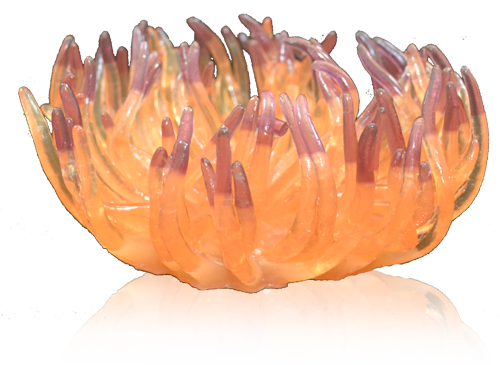 Size: 5.5 x 5.5 x 3.5"
Deep Blue Professional Coral Concepts Pink Atlantic Anemone Deep Blue's Coral Concepts Replicorals bring the wonder and beauty of natural corals to your aquarium without harming any of the world's precious natural coral reefs. 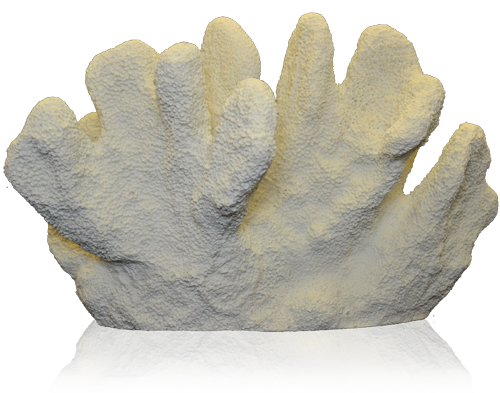 Cast in non-toxic polymer material, they are safe for all aquatic environments and are a responsible alternative to natural coral. Deep Blue Professional Reef Builder Assortment Coral Concepts Coral Reef Builder 7pc Assortment includes 6 of the most popular reef rock items needed to build a basic reef rock wall. The assortment consists of 2 ea. #80202 and 1 ea. #80203-5-7-12-13. 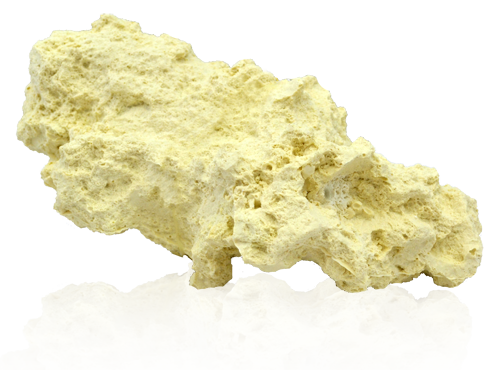 Deep Blue Professional Coral Concepts Coral Reef Rock #2 Coral Concepts Coral Reef Rock looks just like the best pieces of coral rock, but is made of durable and lightweight poly resin. 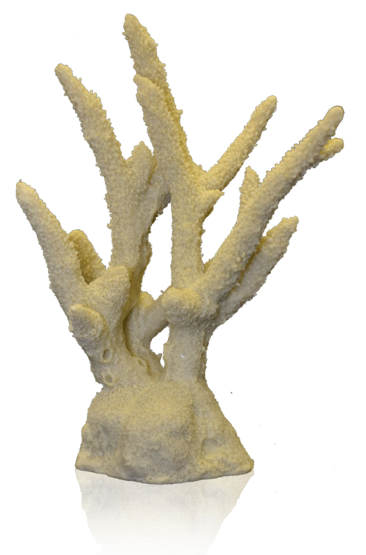 It allows you to build a realistic reef wall without having to dig through boxes of rocks, and without harming actual coral reefs. Completely inert and safe for all aquatic environments. Deep Blue Professional Coral Concepts Coral Reef Rock #3 looks just like the best pieces of coral rock, but is made of durable and lightweight poly resin. 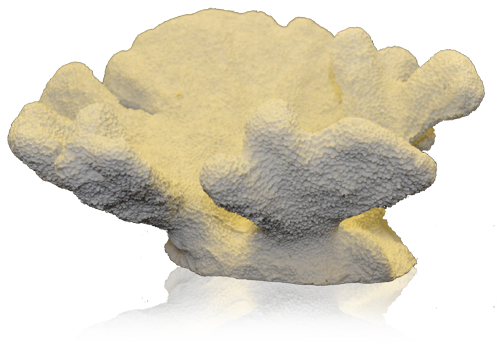 It allows you to build a realistic reef wall without having to dig through boxes of rocks, and without harming actual coral reefs. Completely inert and safe for all aquatic environments. 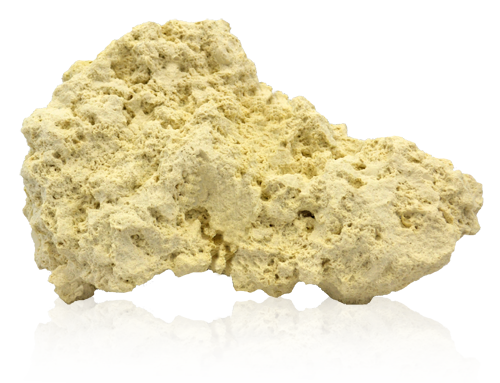 Deep Blue Professional Coral Concepts Coral Reef Rock #5 Coral Concepts Coral Reef Rock looks just like the best pieces of coral rock, but is made of durable and lightweight poly resin. 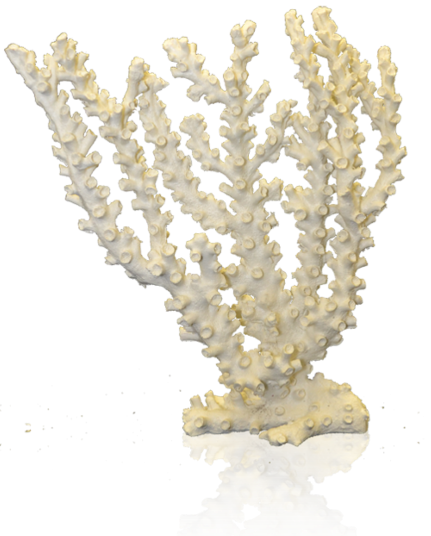 It allows you to build a realistic reef wall without having to dig through boxes of rocks, and without harming actual coral reefs. Completely inert and safe for all aquatic environments. 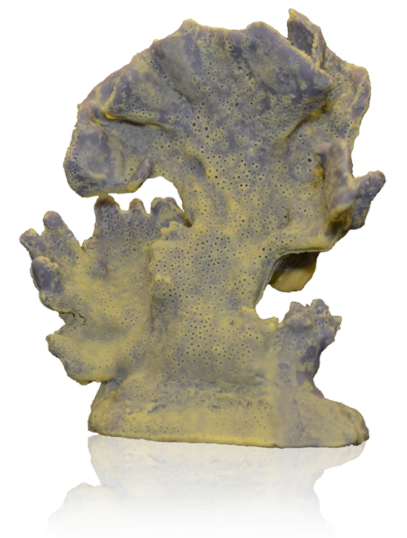 Deep Blue Professional Coral Concepts Coral Reef Rock #6 Coral Concepts Coral Reef Rock looks just like the best pieces of coral rock, but is made of durable and lightweight poly resin. It allows you to build a realistic reef wall without having to dig through boxes of rocks, and without harming actual coral reefs. 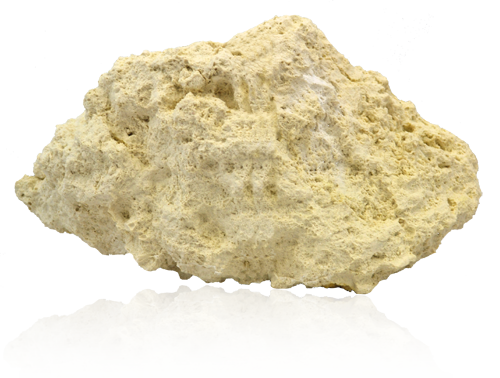 Completely inert and safe for all aquatic environments. 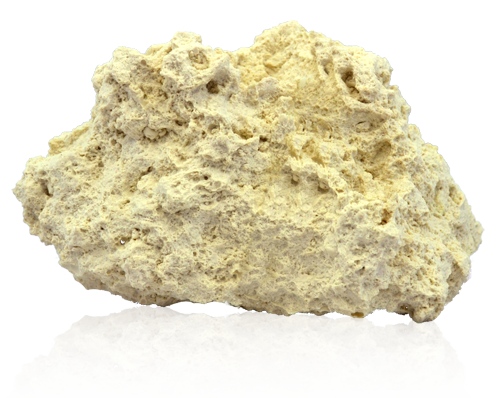 Deep Blue Professional Coral Concepts Coral Reef Rock #7 Coral Concepts Coral Reef Rock looks just like the best pieces of coral rock, but is made of durable and lightweight poly resin. It allows you to build a realistic reef wall without having to dig through boxes of rocks, and without harming actual coral reefs. Completely inert and safe for all aquatic environments. 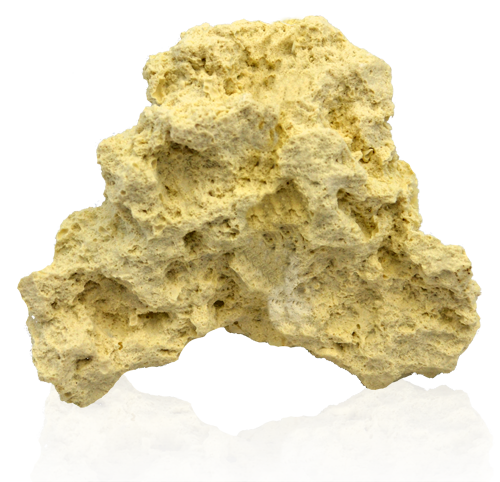 Deep Blue Professional Coral Concepts Coral Reef Rock #8 Coral Concepts Coral Reef Rock looks just like the best pieces of coral rock, but is made of durable and lightweight poly resin. It allows you to build a realistic reef wall without having to dig through boxes of rocks, and without harming actual coral reefs. 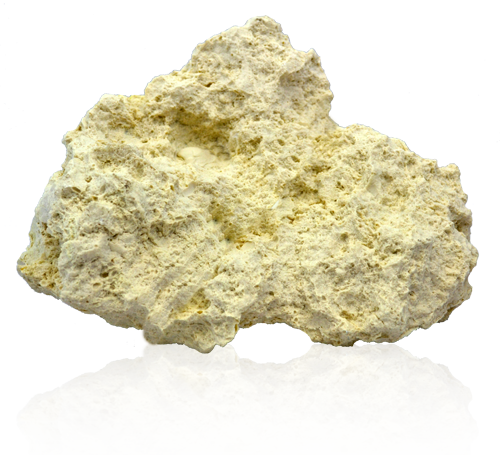 Completely inert and safe for all aquatic environments. 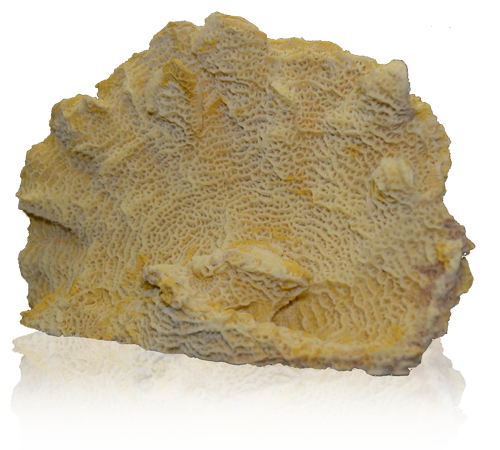 Deep Blue Professional Coral Concepts Coral Reef Rock #10 Coral Concepts Coral Reef Rock looks just like the best pieces of coral rock, but is made of durable and lightweight poly resin. It allows you to build a realistic reef wall without having to dig through boxes of rocks, and without harming actual coral reefs. 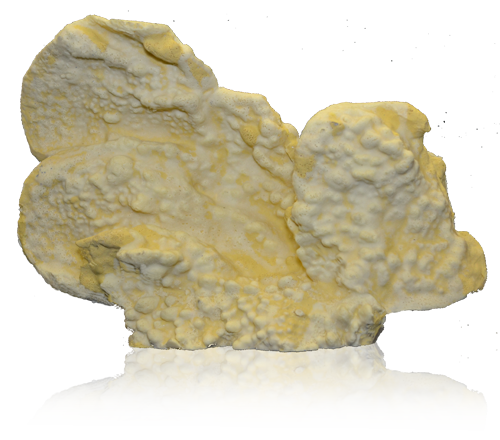 Completely inert and safe for all aquatic environments. Deep Blue Professional Coral Concepts Coral Reef Rock #12 looks just like the best pieces of coral rock, but is made of durable and lightweight poly resin. 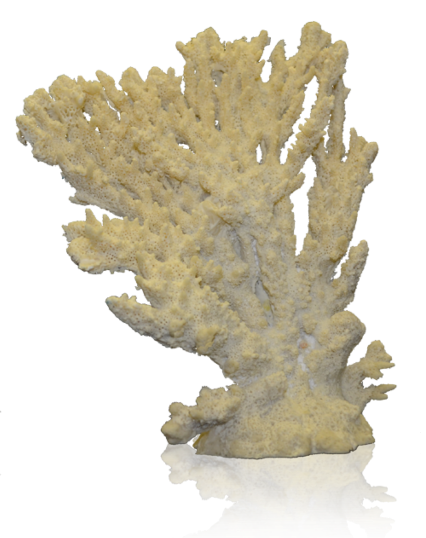 It allows you to build a realistic reef wall without having to dig through boxes of rocks, and without harming actual coral reefs. Completely inert and safe for all aquatic environments. 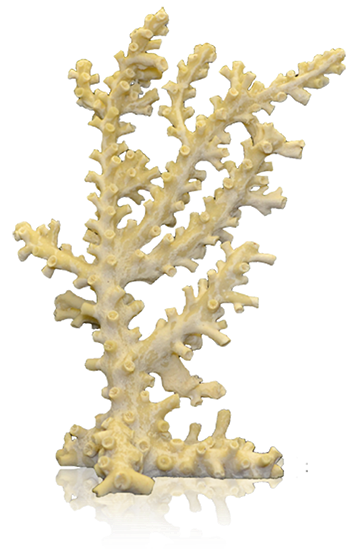 Deep Blue Professional Coral Concepts Coral Reef Rock #13 Coral Concepts Coral Reef Rock looks just like the best pieces of coral rock, but is made of durable and lightweight poly resin. It allows you to build a realistic reef wall without having to dig through boxes of rocks, and without harming actual coral reefs. Completely inert and safe for all aquatic environments. 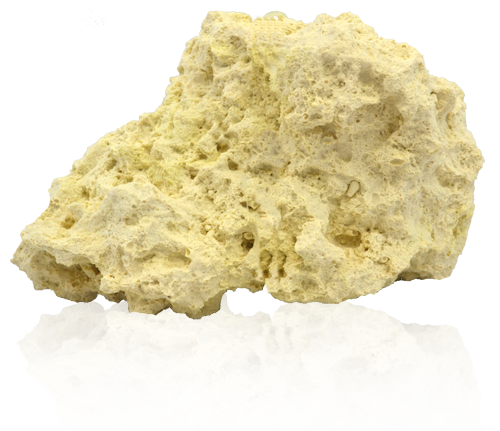 Deep Blue Professional Coral Concepts Coral Reef Rock #14 Coral Concepts Coral Reef Rock looks just like the best pieces of coral rock, but is made of durable and lightweight poly resin. 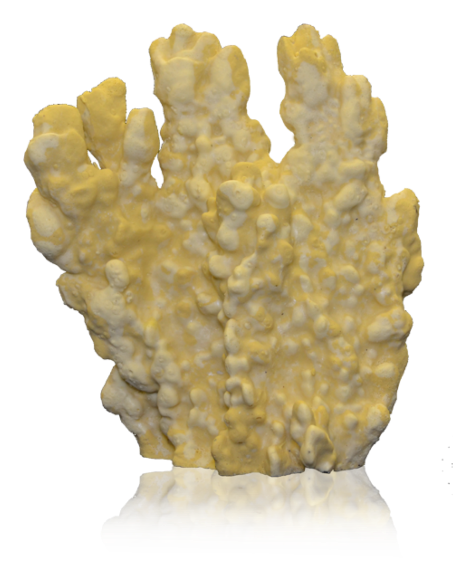 It allows you to build a realistic reef wall without having to dig through boxes of rocks, and without harming actual coral reefs. Completely inert and safe for all aquatic environments.